Below is a listing of the various texts that I refer to in the pages of this website or have otherwise found useful or informative in one way or another. The list is not exhaustive of what is available or even au courant, as there are literally libraries of books on the subject of watches, watchmaking, horology, and the many related fields of trade, craft and interest. If you have looked at any other page on this site, you can see that this is likely the most important book in my collection. Most of my inspiration can be drawn back to this text. It is a sort of watchmaker's bible with instruction on making a watch and all of its parts by traditional techniques. If interested in how a watch is made or to make sense out of this website, then this is the book to find. It was out of print when I tried to find a copy and ultimately found a well-thumbed and at least third-hand, 1st edition. I also obtained a copy of the eagerly awaited 2002 printing. It has been reprinted 4 or 5 times since 1981, however, the content has remained mostly unchanged. The color 'plate' section is most notably updated with more photos of his work, and early editions show Daniels' London workshop where later editions show the Isle of Man. Additional details on the wristwatch coaxial escapement are added in later versions as well. The cover illustration was originally a tourbillon carriage with spring detent and a coaxial in later editions. 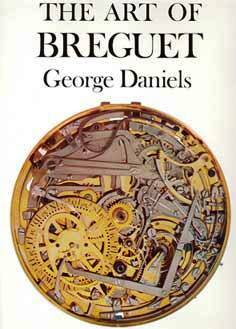 One of Daniels earlier books, plenty of historical information and photos of different types of escapements and watches that had come through his shop, if I recall correctly. 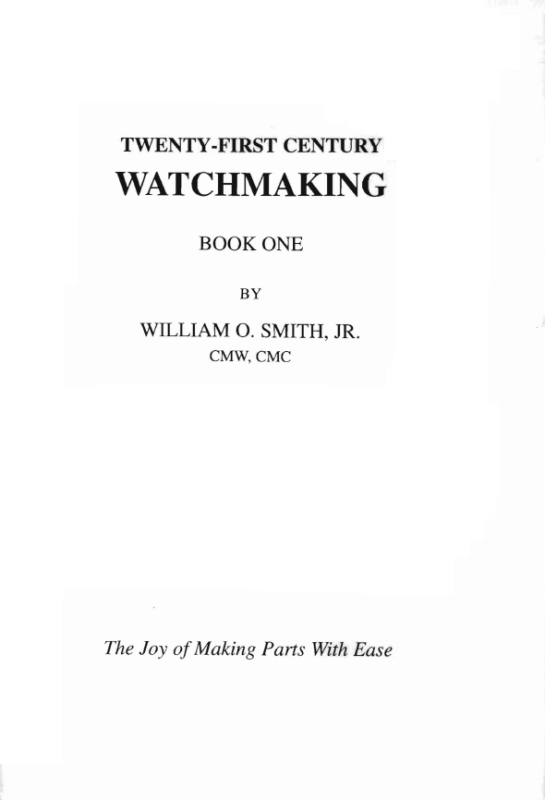 At the end of the book he shows a couple photos of one of his early watches, which used a different retrograde hour mechanism than described in "Watchmaking," but see the motion work page for more details on that. Every Daniels watch in one place at one time! I wish I could have been there, but the catalog will have to suffice. It is very well done and provides photos of many of his watches that were not to be found in the literature prior to this event. 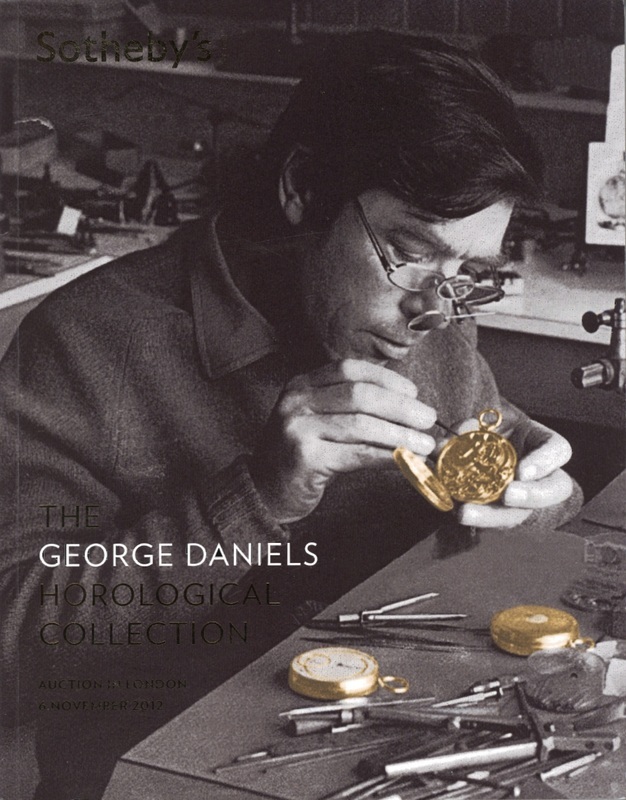 A catalog for the Sotheby's auction of Daniels' personal horological collection. Includes many pieces made or modified by himself, as well as many unique clocks, watches, tools, and horological art. My pockets were only deep enough for the catalog! 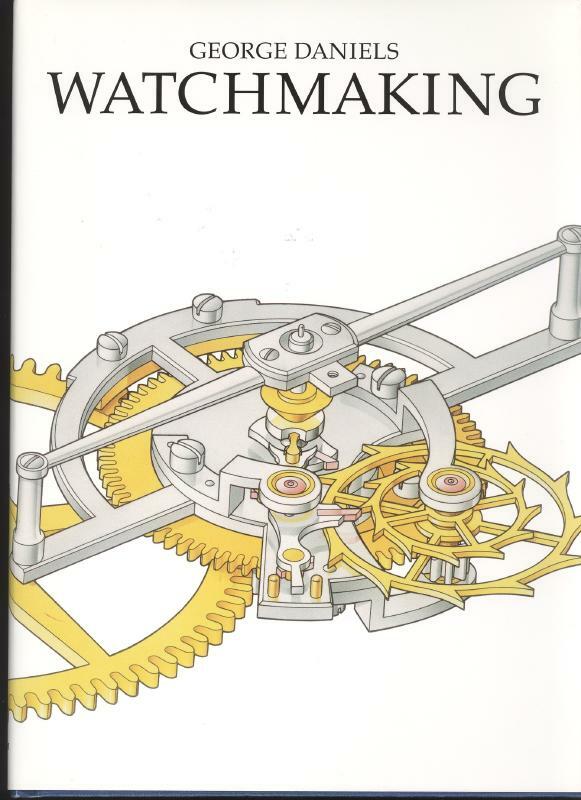 If you own a copy of "Watchmaking" then there is not much of reason to buy this book as well. 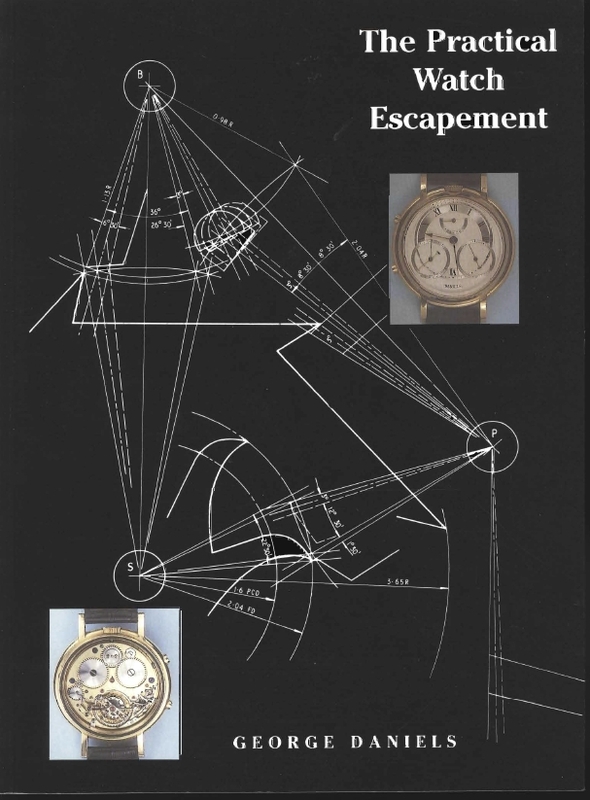 The escapement chapter in watchmaking covers most of what is found in this book. There are some additional photos of prototype watches with coaxial escapements, an Omega 1045, a Patek Phillippe autowound, a Rolex, and ETA 2892 (signed Hamilton) that was to become the version used in the Omega 2500 (also based on the ETA 2892). An excellent overview of George Daniels and his work. Although much of the information is presented in other books on or by George Daniels, this book is very well put together, and contains excellent photography. There is some unique information and photos of his work not found in other books, including an unfinished pocket watch which was still under construction at the time of Daniels passing. 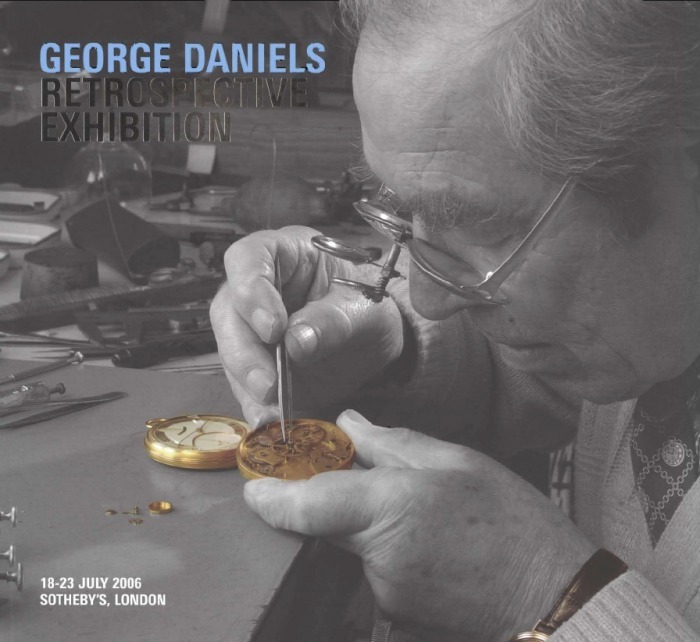 There are images of drawings by Daniels for some of his pieces as well photos of watches and clocks that were in his personal collection. A very nice collection of various types and makes of chronometers. As I understand it, the book is a representative catalog of the chronometers from the collection of Seth Atwood (Time Museum). 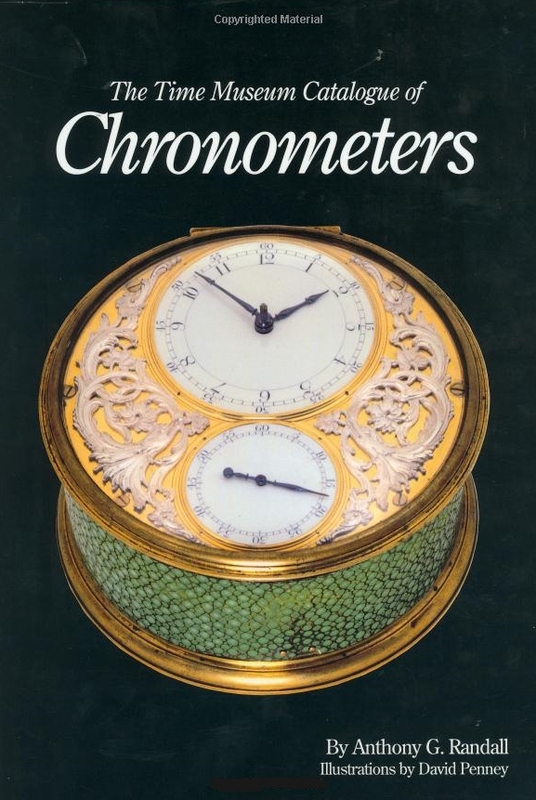 It is an excellent historical account of the progress made in chronometer making. The book is authored by the eminent horologist, Anthony Randall (a pair of his superb carriage clocks are part of the collection). Also part of this amazing collection, Mr. Atwood is the only person to 'commission' a watch from Daniels. It was the first of Daniels' dual train/escapement watches. 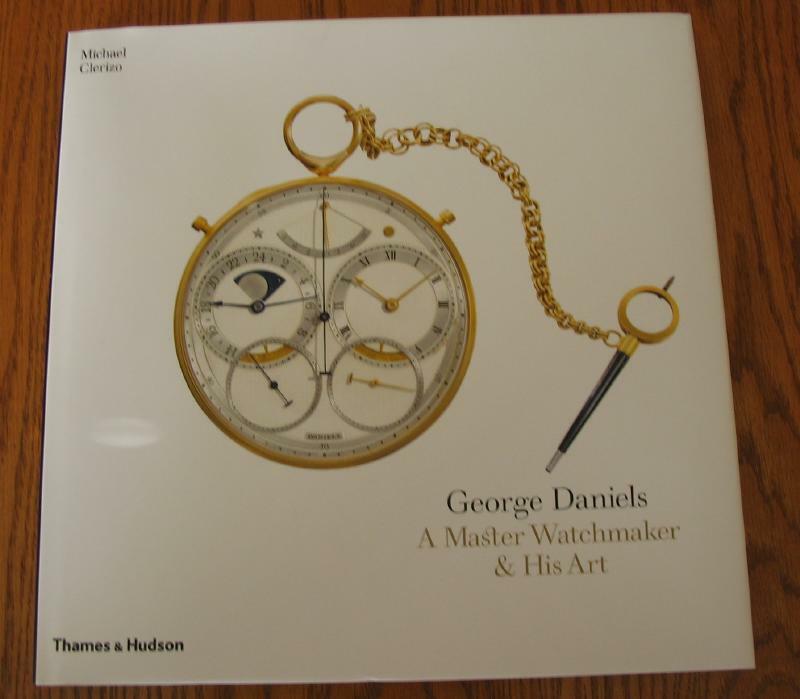 He writes a foreword in this book in regard to his appreciation of this watch and Daniels himself. An excellent and very thorough discussion of the longitude problem. Discusses the history, mathematical, astronomical, quack, and time keeping methods of addressing the old problem of determining longitude at sea. The drive to solve this problem was a significant force behind the creation of ever more accurate, portable time keepers. The chapters are written by various authors and notable horologists. The final chapter is written by George Daniels. He discusses the importance of the mechanical watch in the 21st century, and encourages prospective students and hobbyists to get involved in watchmaking and the pursuits of the artist craftsman mechanic. 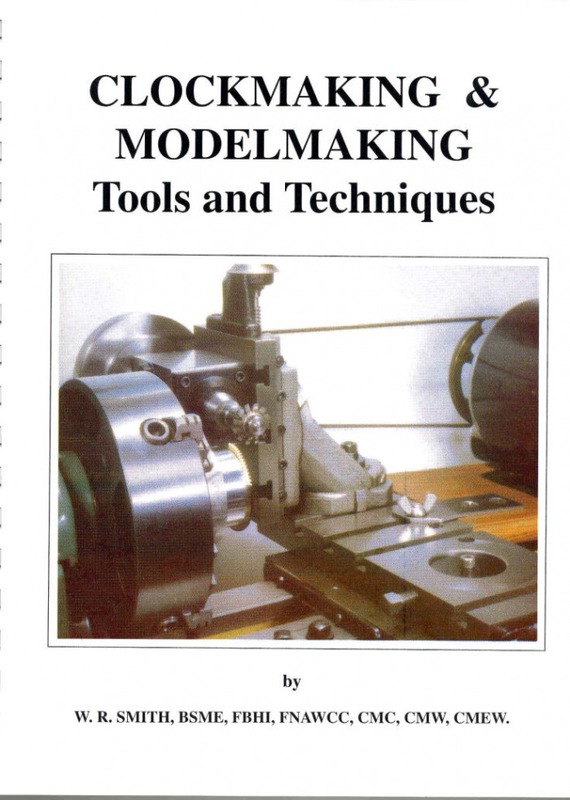 An excellent source of instruction on all aspects of wheel and pinion making on the lathe. A historical accounting is given, which sheds light on the types of equipment that have been used, as well as an overview of current options. A wide range of different machines are shown, including commercial equipment used for producing gear cutters. The photography is very good and clear explanations and diagrams are provided. 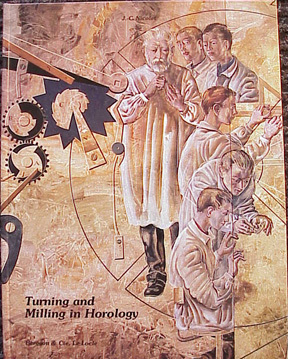 It is the textbook that was once used at the Joesph Bulova School of Watchmaking. Although somewhat dated, it is an instructional textbook with lessons on many techniques and skills needed for common repairs. 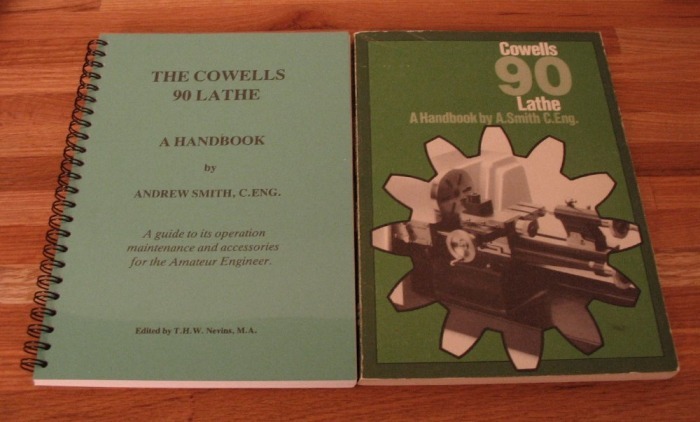 I mention this book in the Cowells lathe page, it is a useful introduction to the Cowells lathe and its primary accessories and basic instruction on their use. A spiral bound copy was supplied with the lathe, however, I acquired a second hand copy while researching machines. Excellent book about making tourbillon pocket watches by hand methods. Originally written in German, the english translation is not the best, but one can work through it. He provides very complete technical drawings of one of his watches as well as some good information on engraving, dial making, detent making and case making (including hunter type cases). Berlin, 1923, reprint Florian Stern, 2006. A detailed treaty on chronometer escapements. 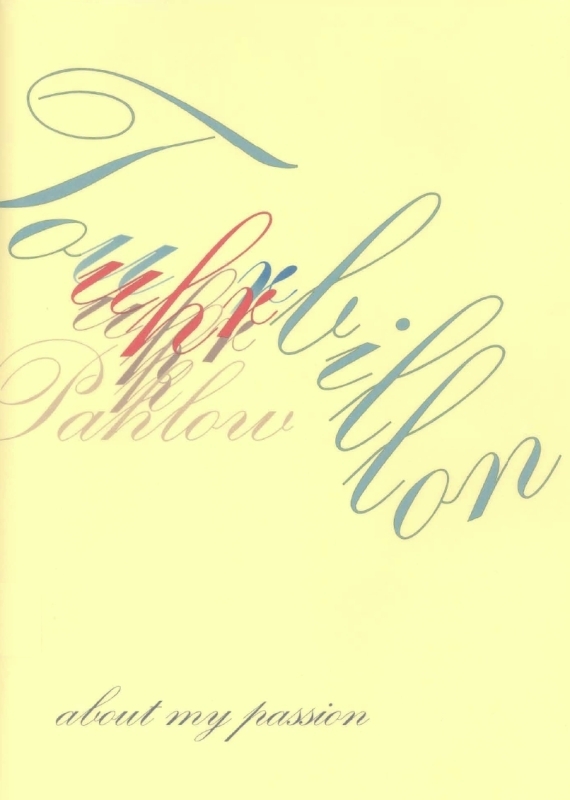 It is referenced and recommended by Mr. Pahlow in his Tourbillon book (above). It is written in German, however, it might be a tough read even if it was written in English! It succinctly covers the various types of chronometer escapements, including both English and German types. A useful section on construction, detailing the necessary cutter profiles with dimensional information for making a chronometer wheel. Privately Printed, Bad Nauheim, Germany2006. 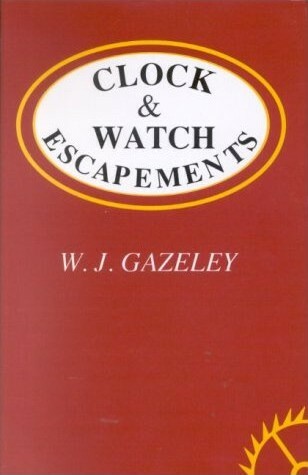 Excellent book about making pocket watch cases by traditional methods. Also written in German, but with modern online translation software, it is not impossible to read through. I recently learned that this book is currently available in English. The photos and diagrams are very useful, and overall this is a very informative book. 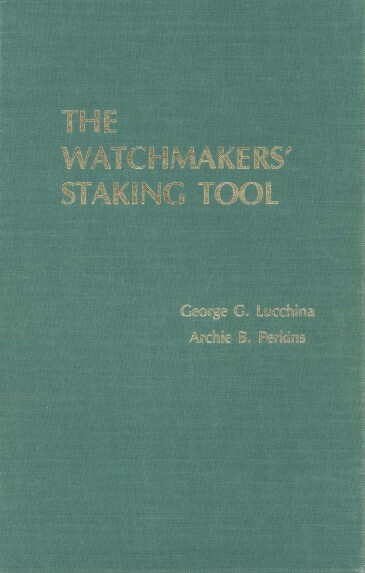 Other than 'Watchmaking,' this is the only book I have found that details the case-making process. Excellent contemporary textbook on goldsmithing techniques. 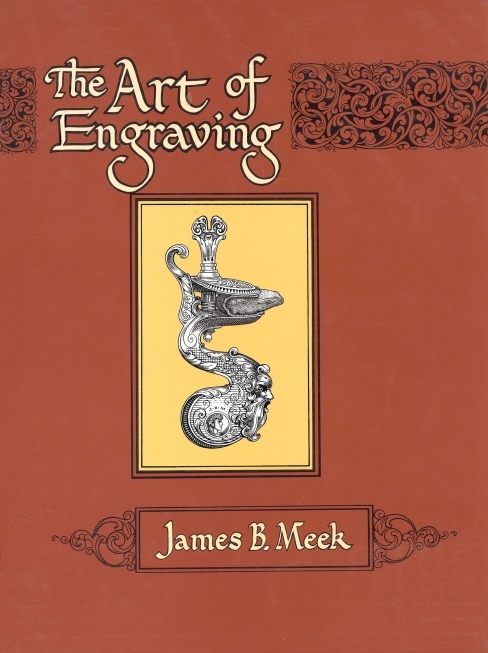 The book consists of a series of projects (various types of jewelry) that are progressively more complex and/or introduce additional goldsmithing techniques. I would like to someday make this clock, being a regulator, its purpose is accurate timekeeping, and is therefore the sort of clock I suspect any horologist would be interested in. I list the book here, since John Wilding constructs this clock using the Cowells 90ME lathe, it is nice to see a familiar looking machine being used for horological purposes. Other than my website, it is the only reference I am aware of for seeing the Cowells at work. Another very useful book by Mr. Wilding. He demonstrates many basics using a small Toyo brand lathe and gives details on how to make various lathe attachments specific for horological practice. Companion to the video, providing additional details. Companion to the video, providing more detail and dimensions to the various techniques and tools demonstrated in the video. 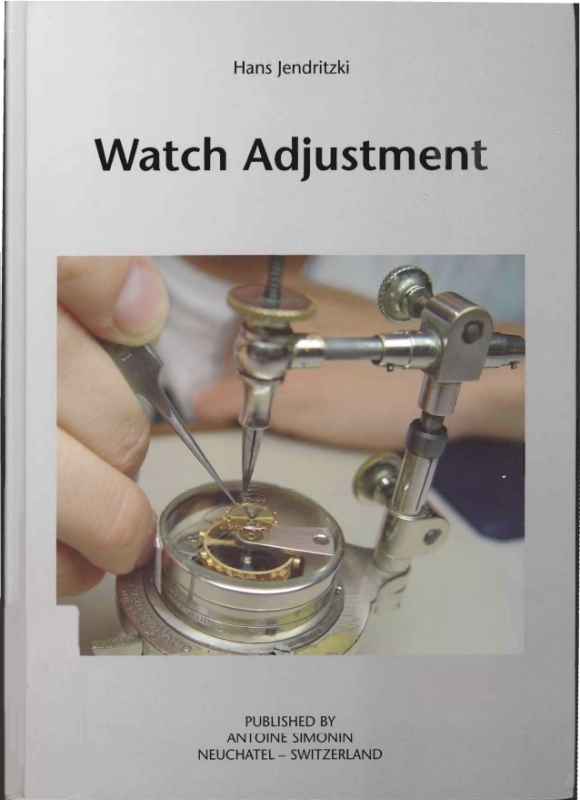 A book of watch repair methods and fundamentals, certainly a must have for anyone starting out in watch repair work. Nice addition to the Watch Repairers Manual. I picked it up specifically because it had a chapter on fitting key setting arbors to hollow center wheels, which I needed to do and Daniels didn't provide much detail on. Excellent text of the various components of the staking set and how to use them. The text focuses on the Kendrick and Davis brand of tools, however, the principles are easily applied to any brand of staking tool. This book is not in print and hard to find, but the information is presented in Archie Perkins book below. 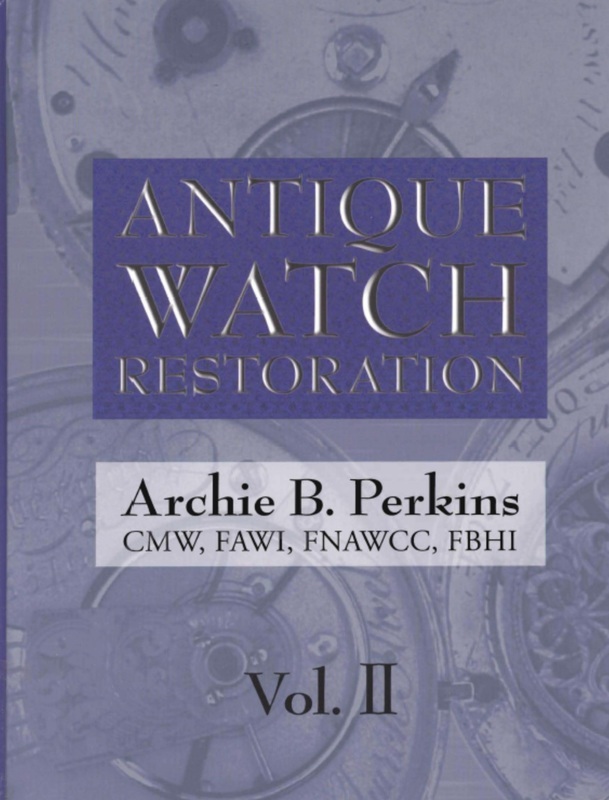 An excellent and up to date treaty on watch restoration methods. 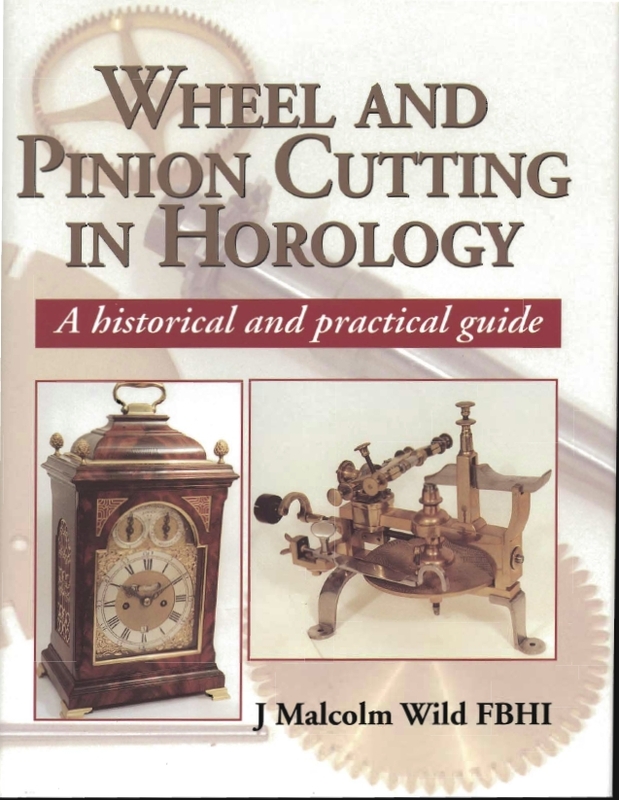 This book covers a number of different topics in great detail, including the restoration of fusee watches with attention given to methods of polishing winding wheels, making a fusee cone and chain, calculation of gear trains, pivot work, etc. The information and instruction on staking tools (in the book above) are repeated with additional details given. This volume includes detailed information on forming non-jeweled holes and oil sinks, testing and using the depthing tool, making jewel settings, as well as a thorough discussion of making the various types of jewels themselves. There are separate chapters on various escapement types, and how to make all their components, including the verge, duplex, cylinder, chronometer, and detached lever. Construction methods encompass escape and balance wheels, levers and pallets, detents, roller tables, etc. 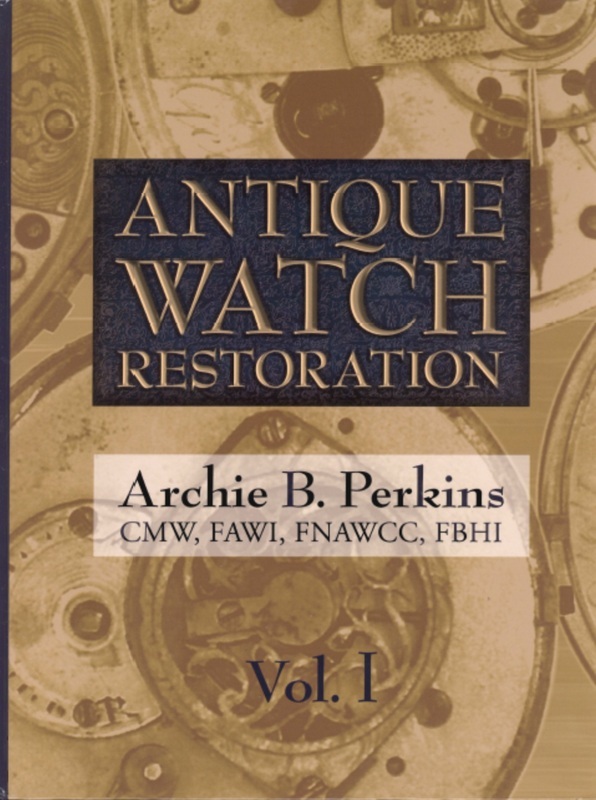 This volume together with Volume I of this series and Mr. Perkins' previous title, "The modern watchmakers lathe and how to use it," form a very comprehensive distillation of information for use to any watch maker, restorer, and repairer. 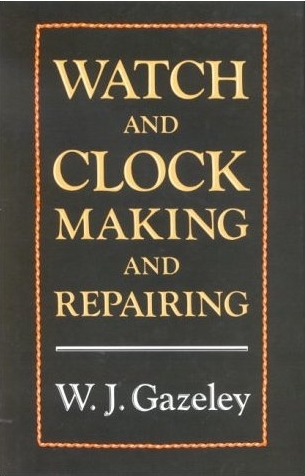 As the title suggests, it is a classic book on watch repair and basic fabrication methods. I would say it is rather dated, however, it is a useful book and was one of the earliest books that I found on the subject. Another of DeCarle's many books. Great overview of the machines that were available in the past and currently (as of its printing). 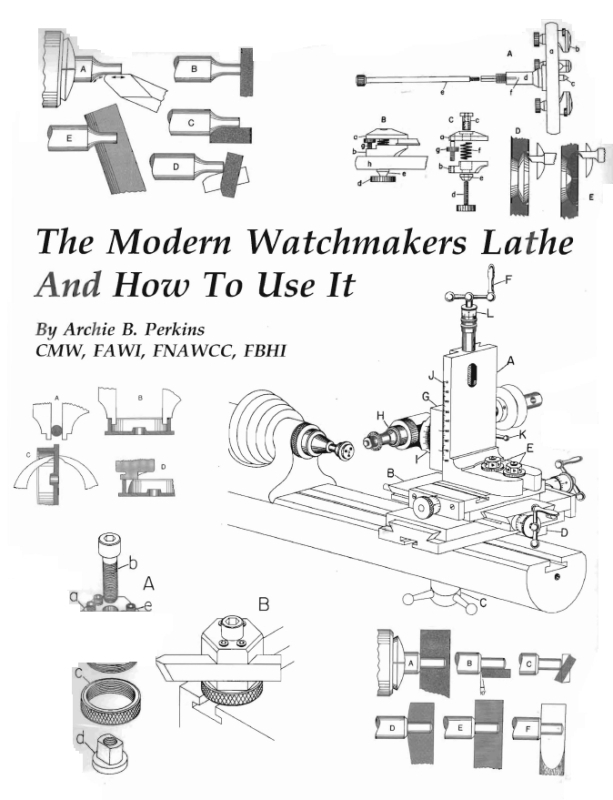 Also includes some basic information on using a watchmakers lathe, including hand turning methods. Another of DeCarle's many books. It is an extension of Practical Watch Repair, in that it describes other mechanisms not found in PWR, including calendar mechanisms, automatic winding systems, chronographs, repeaters and others. Overall, it is a book of the techniques to make a watch a better timekeeper. 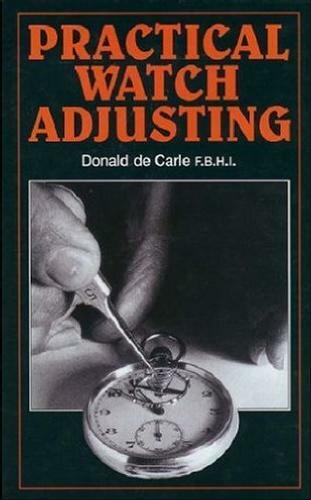 As far as hairspring manipulation, I think Jendritzki's book is more comprehensive, however, de Carle discusses a number of other topics and methods/sources for fine tuning, such mainspring adjustments, finishing arbors and pivots, escapement finish and lubrication, all of which impact the timekeeping of the mechanism. A fairly old book, de Carle provides a general overview of the occupation and the trade of watchmaking for that time period, as well as instruction on various basic techniques. The book contains a good bit of basic instruction, but it starts out almost like an occupational guide book, so that a prospective student can see if they would like that sort of work. 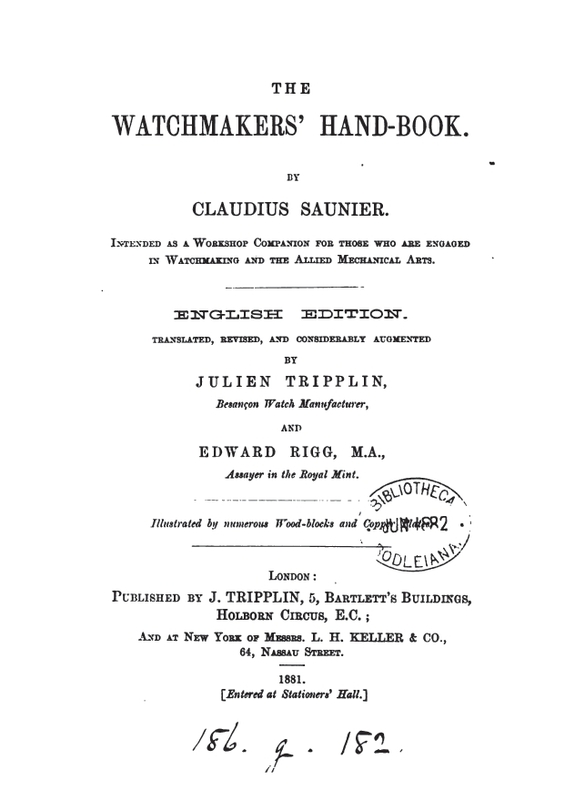 This was the very first book on watchmaking I found when curiosity first struck. It was the late 1990's, so I started with the local book store's offering. 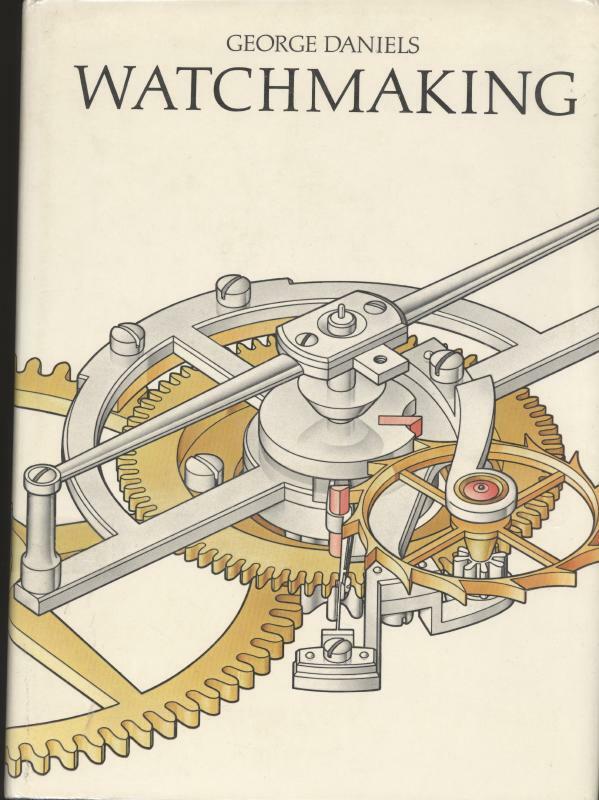 I wouldn't recommend it as anyone's first book on watchmaking. I knew next to nothing on the subject when first reading it, and was not much better off afterward. It is, of course, fairly dated and the methods tend to be what are sometimes referred to as 'cork and nail' types of techniques rather than modern tools. However, it's worth reading through. An addendum to the book above, focused on escapements. Overall, a good book with unique information. As to escapement theory, I would perhaps suggest some other titles in this list, but the fundamentals are there. There is a chapter on using the depth tool, and a fairly detailed chapter on polishing techniques, specific to escapements. Gazeley was obviously a proponent of making use of jigs and swing tools to get the job done, a very wide range of gadgets are described in this chapter. I found this book to quite useful. It is written very concisely, and demonstrates a wide range of repair techniques using modern Swiss (specifically, Bergeon) tools. I would describe the writing style as very concise. 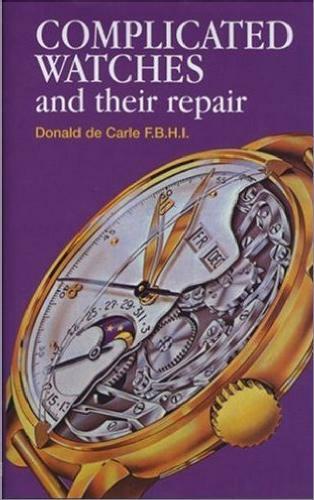 and the author seems to assume (as the title implies) that the reader is a watch repairer. Another excellent book by Mr. Jendritzki. A very complete treaty on hairspring and balance adjustment. It is a recent reprint of an earlier text, and is rather expensive. 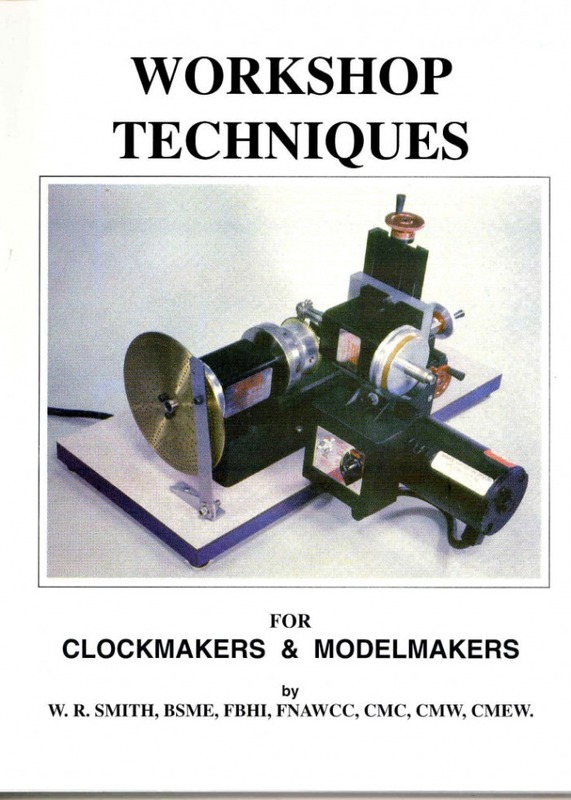 Essentially a users manual to the Bergeon watchmakers lathe. It is a handy introduction to lathe use, and if you own or are considering a Bergeon lathe, then it would be a useful book. 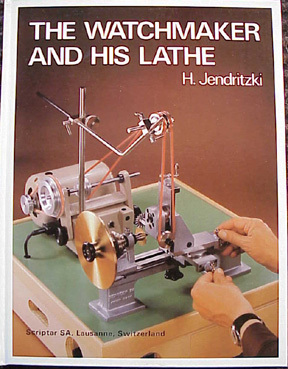 However, I would suggest Perkins book on the subject of watchmaker's lathe, as it provides much more information. 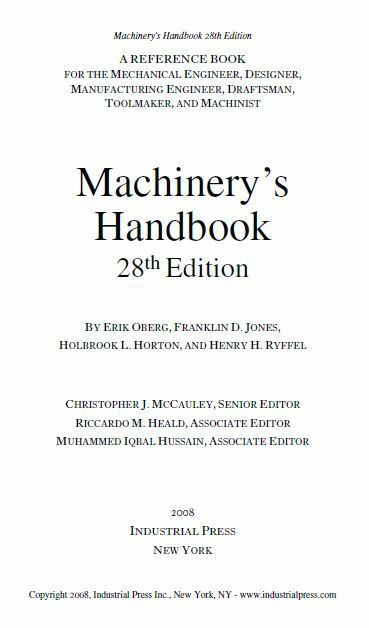 A fairly short book, but filled with useful equations and techniques for different machining operations. Focuses on the Bergeon and Schaublin 102 lathes and the Aciera mill. 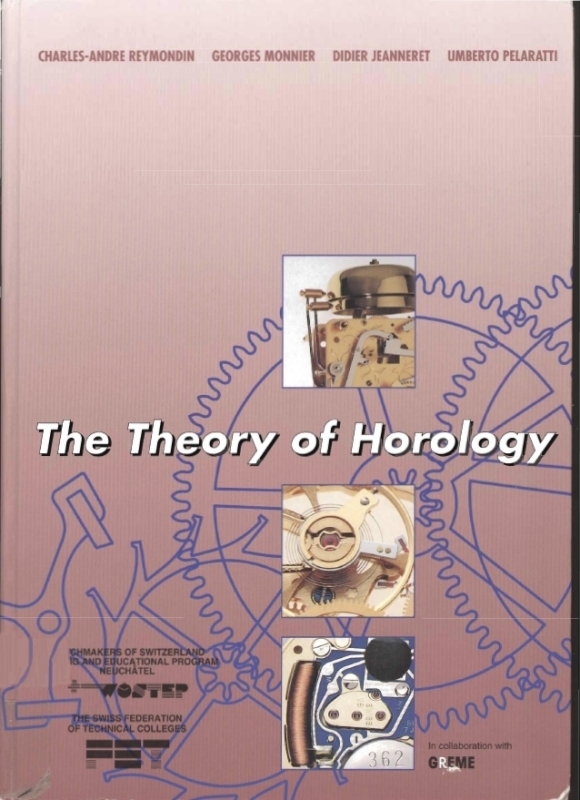 This is a standard textbook of horology. It is quite expensive but very informative. It has the general feel of a school textbook. 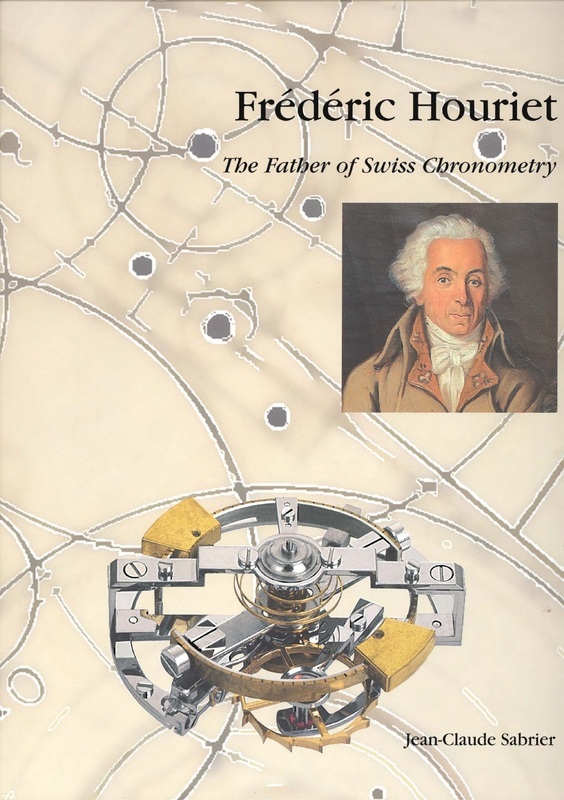 I obtained this text long after starting this endeavor, but it should be the first book one should read if interested in horology, especially if interested in modern Swiss watches. 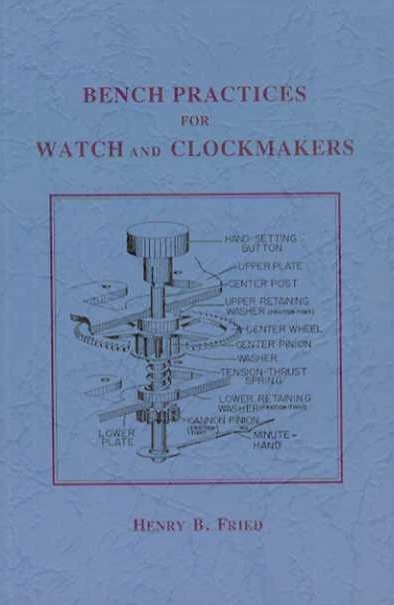 There are no instructions on repair or construction of watches, but the clear illustrations and explanation of the theory of timekeeping is very good, and clarified various questions I had about contemporary watchmaking. For example, a clear diagram and explanation of a modern perpetual calendar. It provides mathematical explanations/formula, which is often omitted in more practical texts. A detailed account of Frederic Houriet and his work. He is, perhaps, one of the lesser known geniuses of horology. I was not familiar when happening across the title. The book provides a fairly thorough examination of his work, which is quite impressive. Excellent introduction to the watchmakers lathe and its accessories. 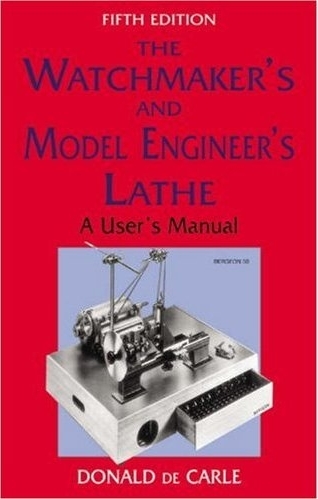 Includes descriptions of the various parts and accessories to the traditional watchmakers lathe, maintenance information, and loads of basic procedures and techniques. 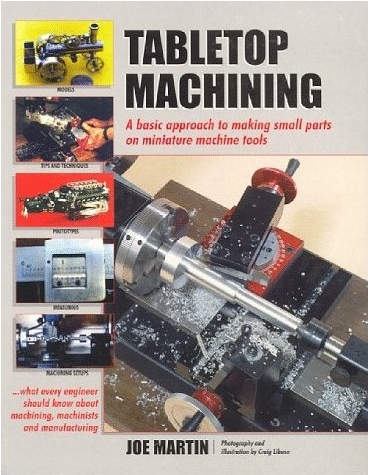 If you own this type of lathe, or are considering one, this is a book that will come in handy. Excellent text for information on the production of flat components using a technique not otherwise found in the literature. This involves grinding parts to shape using mini cut-off wheels on the lathe, rather than sawing and filing to shape. There are methods provided for hardening and tempering steel as well as polishing techniques. 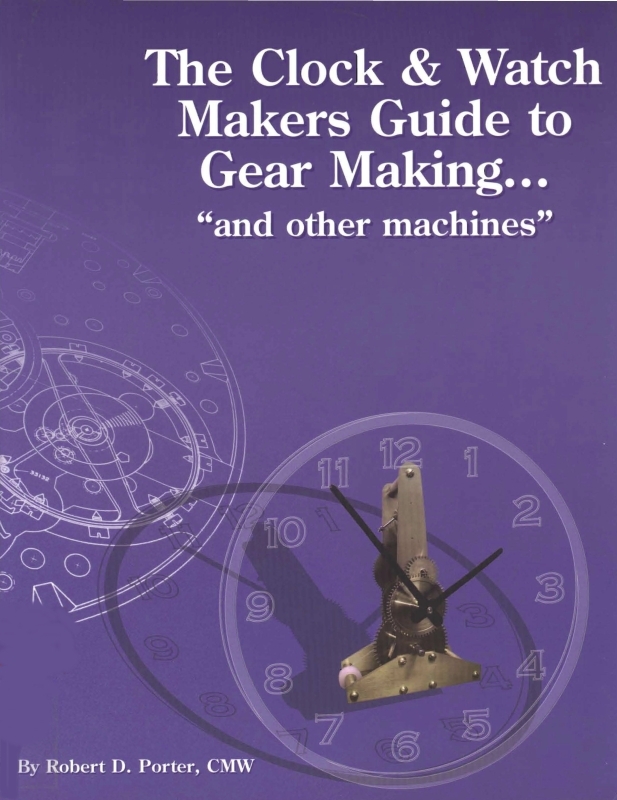 The clock & watch makers guide to gear making... "and other machines"
A thorough book on wheel and pinion cutting methods on a standard watchmakers lathe. Especially useful if you are in need of making you own cutters and tooling. I generally prefer J. Malcolm Wild's book. Perhaps not the best pictorial account of chronometers (relative to some other books). 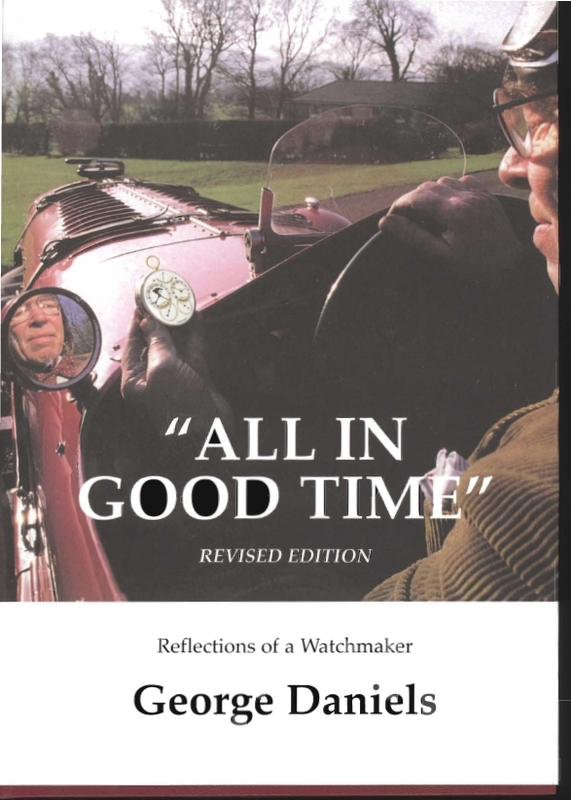 It is an excellent historical account, especially for early 20th century chronometers. 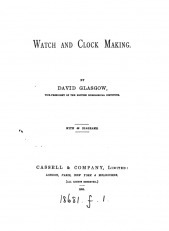 It is also an excellent and very thorough book for technical information and practical information, such as methods of cleaning, and repair and restoration of marine chronometers. Whitney details processes such as making a spring detent, and more general methods of setting up, care and use, and disassembling chronometers. 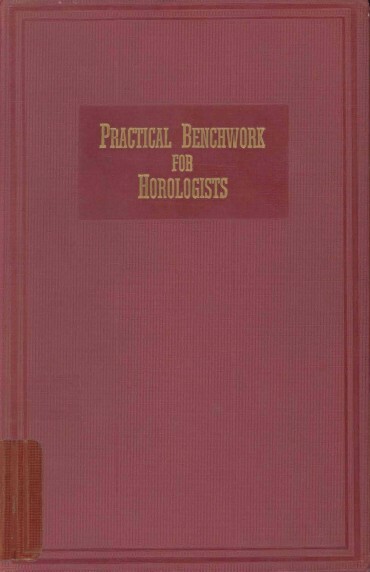 It contains a detailed explanation of chronometer testing and the official methods previously used. 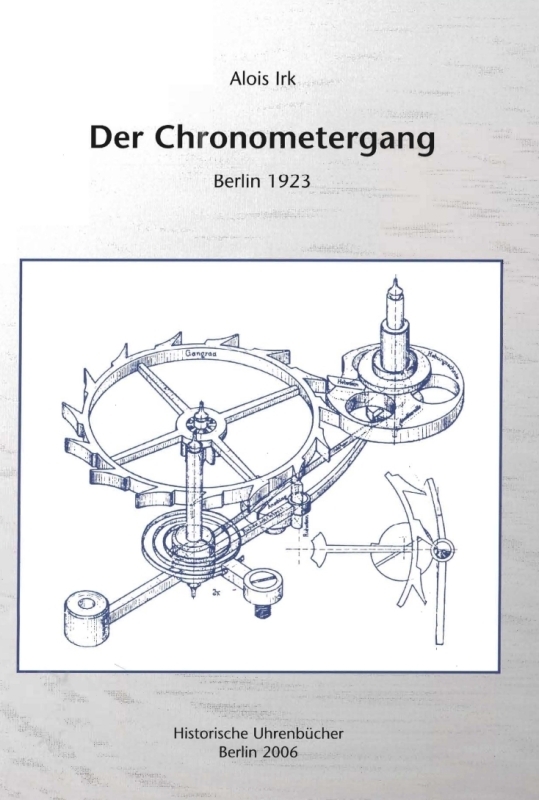 It is also a very complete information resource for American chronometers, providing part diagrams, etc. for specific makers. 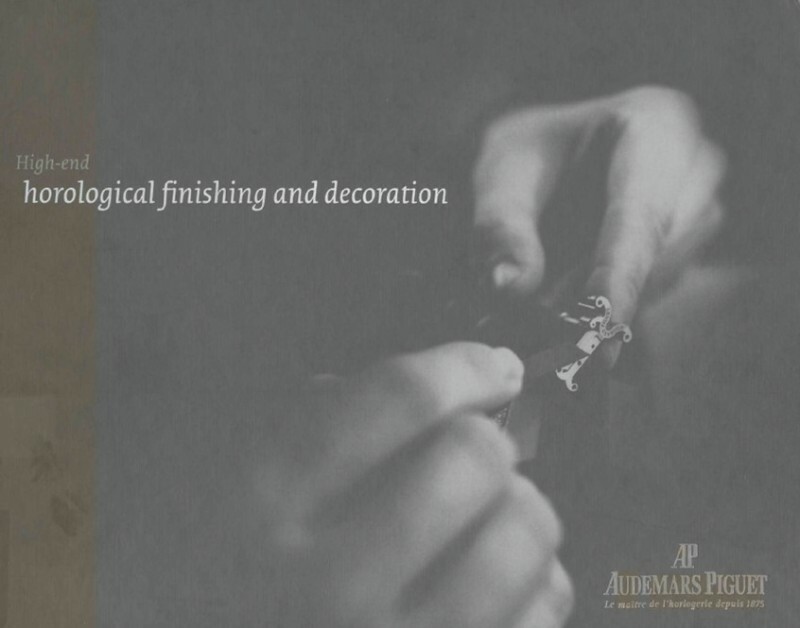 A nice coffee-table style of book which covers the various techniques of movement and watch finishing. Beveling, polishing, chamfering, screw-making, wheels, pivots, engraving, engine-turning, spotting, Cotes de Geneve, snailing, graining, electroplating, etc, etc. The basics are given and color photos demonstrate some the different stages for each technique. I don't think the book is intended for instruction in these methods, but more of an overview of the various crafts and skills involved in "high-end" watch decoration. All the watches and components featured are Audemars Piguet. I suspect it is intended to help alleviate the customer's conscience over why such watches are so expensive. This book provides information on machining fundamentals using the Sherline lineup of machine tools. Although not a horological text, it contains a lot of useful tips and guidance for micro-machining with modern small tools. There are also numerous examples of intricate work (mostly scale models) created by various hobbyists. The color photography throughout is quite nice as well. A detail description of tools and methods of engraving, intended primarily for a beginner. Numerous examples provided, mostly dealing with the engraving of firearms, however, the techniques can be applied elsewhere. A concise description and instruction for engraving tools and techniques. I picked this book up, since I will eventually need to do some basic engraving for the dial and perhaps to put my name on the movement plate. To aspire even further, to perhaps engrave some scroll patterns in lieu of engine turning. One of the few books I could find on the subject; however, I have not, at this time, made any progress in its practice! 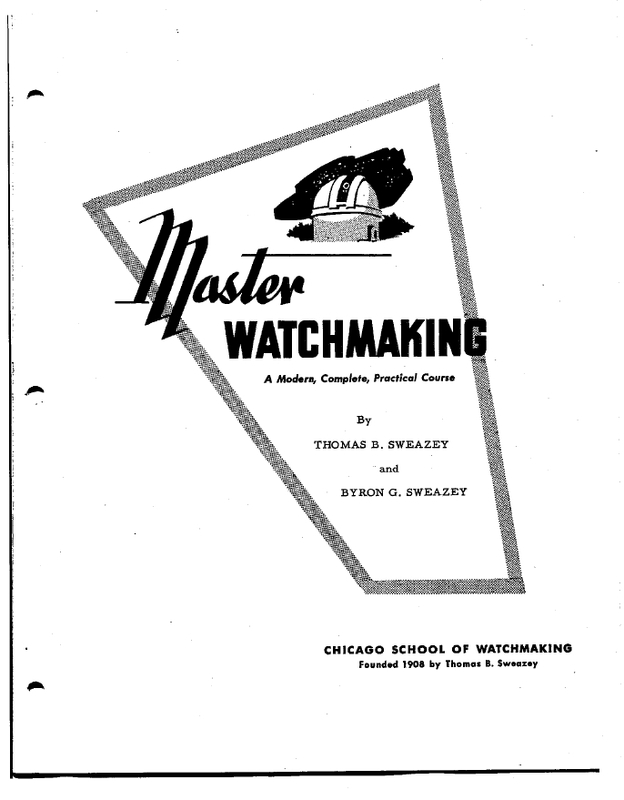 The textbook of the Chicago School of Watchmaking, composed of 34 lessons. The basic material is covered in other watch repair references of about the same time period, but interesting that it is laid out in lesson format. Classic text, primarily dealing with escapement theory, analysis and practicalities . It is a very complete explanation of the state of the science at that time (844 pages!). Unlike many of these older texts it is not readily available, and perhaps the copyright status differs from Saunier's other works. It was recommended to me by a visitor to this site, and after finding it and looking through it, I would recommend it to others as well. Classic treatise, I refer to him a couple times on my site. Practical explanations of methods with commentary. 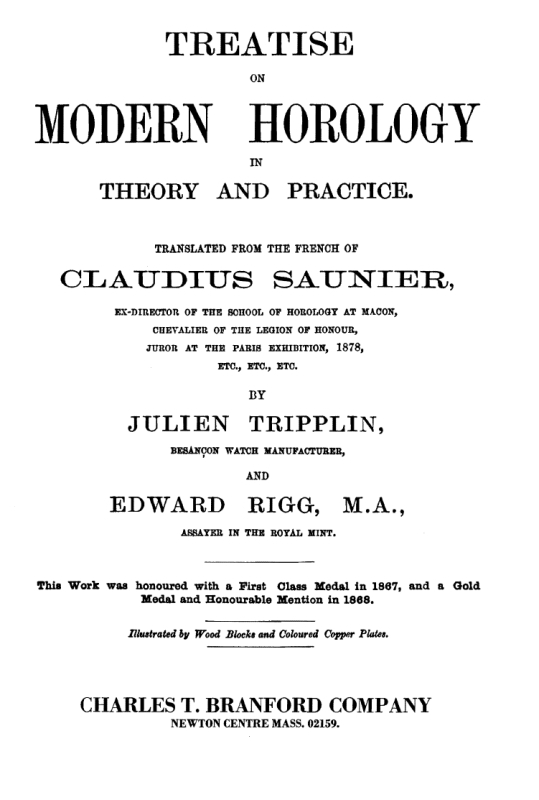 The classical treatise on Watchmaking. Basic procedures and methods, most of which are outdated, but the fundamentals are still applicable. Can be found for free on Google-books. 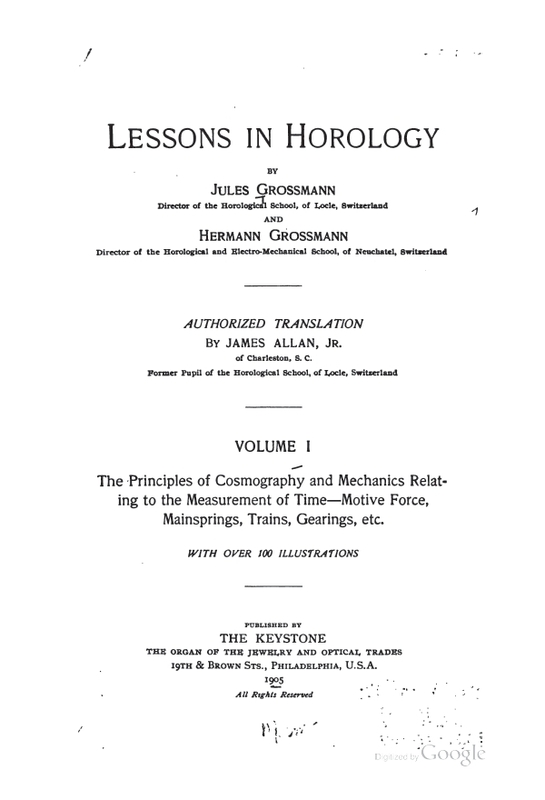 Classic treatise on horology. Can be found for free on Google-books. A massive tome and machinist's bible, so-to-speak. If you can not find the answer to a machining question, or remember a formula, trigonometry, geometry, etc. it can probably be found in this text. It is a collection of books (about 40 or so) that cover most all metalworking subjects aimed at the amateur machinist. 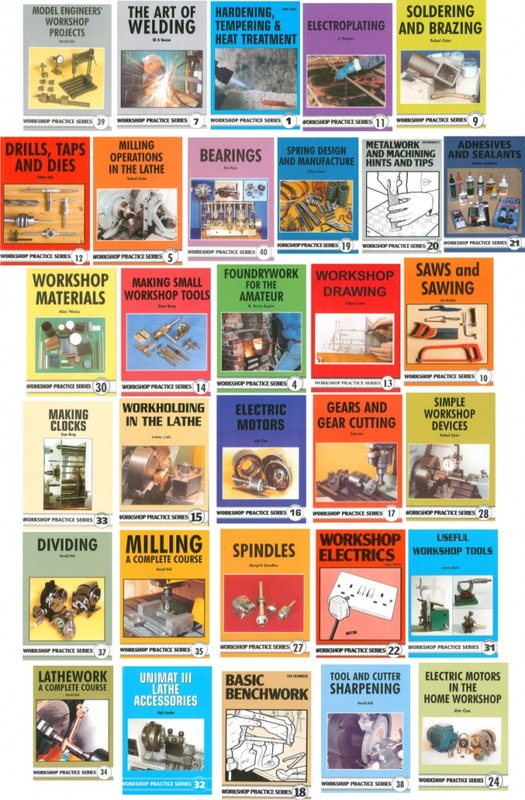 Very good references for basic workshop fundamentals (pick a topic and there is likely a book on the subject) and source of good ideas and projects for the home shop machinist. I did not have a more appropriate place to insert this story by Mark Twain, but it is well worth reading.